We note that it is a doubly terminated crystal, a very rare occurrence on samples from Imilchil. Both color and luster are excellent and also the definition of the faces and the edges, absolutely undamaged. 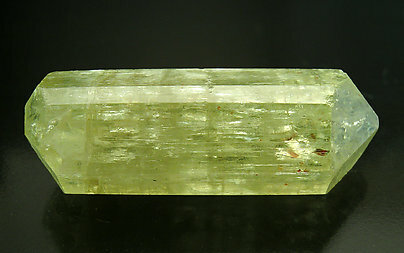 Maybe the plate form of this crystal is not common, but it is really a doubly-terminated crystal of an excellent color and size. The sample was purchased by Folch in March 1969 from a miner in Panasqueira. At first, due to the locality and the micaceous matrix, we thought it was Phenakite. The correct analysis indicates it is Fluorapatite. The crystal has well defined faces and edges and is on a black mica matrix. 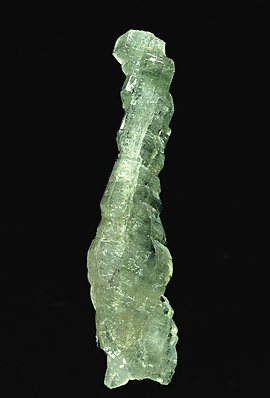 A Fluorapatite crystal, unusual due to its very elongated shape. 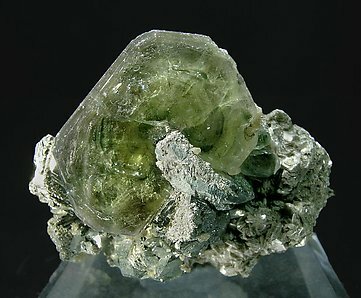 It has very well defined faces and edges, is between transparent and translucent, and has a pale green color with geometric color zones having different green shades that appear as “phantom” growths. It is with small Arsenopyrite crystals on the prism faces. 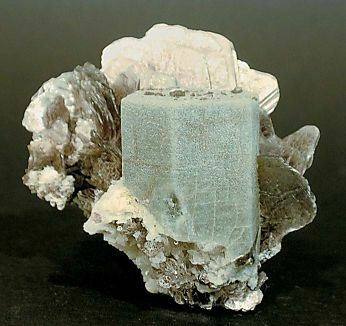 Curious Fluorapatite with sharp form and unusual color associated with well developed Muscovite and minor Albite. 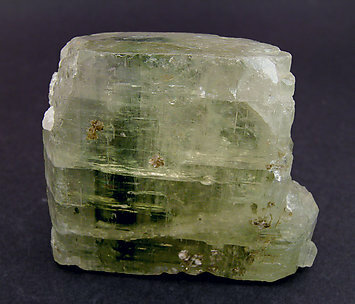 Crystal of good size, a floater, having well defined prism and terminal faces. This is a rare locality, there are usually very few in collections. Prismatic crystal with very well defined faces and edges and a neat termination with a pyramid and a small pinacoidal face. 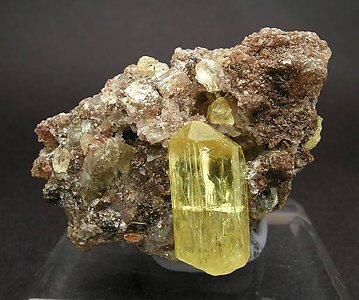 The crystal has a vivid yellow color and an intense luster. 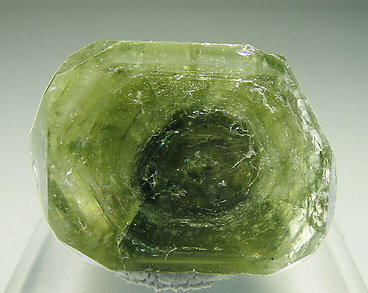 A classic crystal with excellent color and transparency, and on matrix. Folch bought it in Cerro del Mercado, Durango, in September 1956. 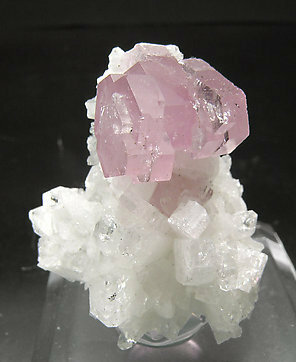 Very esthetic sample with a group of tabular crystals of a very attractive deep pink color and very intense luster. The crystals have a nice contrast with the Albite matrix. 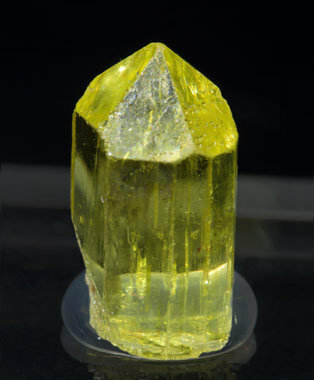 Very transparent and bright single crystal with an intense yellow color. It consists of two prisms (first and second order prisms) and a terminal pyramid. We especially note the mine, a Spanish classic, very poorly known. 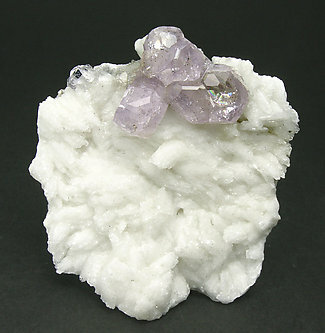 A group of two violet crystals, with zoned color and a cluster of small crystals on its side. On the back, there is a neat contact. The crystals have small damage on the edges. 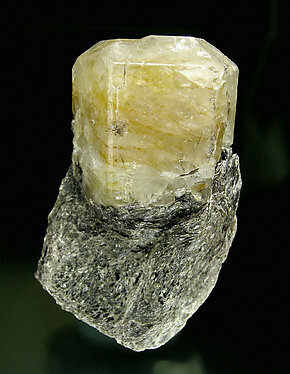 Thick tabular Fluorapatite crystal showing with excellent definition the unusual, for the Panasqueira Mine, pyramid faces. With very marked concentric color zoning. There is a chip at the upper right corner. Very aerial group of bright tabular crystals with an uncommon very clear cream-pink color, very different than usual for Panasqueira. A novelty from Munich 2007. We have had this Apatite analyzed and it is really Fluorapatite, as we guessed. 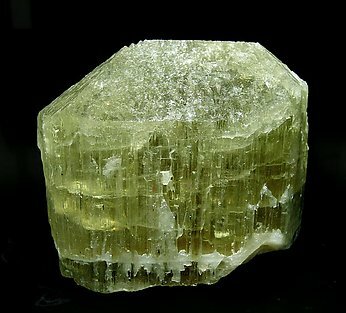 Uniaxial growth of crystals formed by the prism, the pyramid and the pinacoid, of beautiful green color and excellent luster. We are waiting an analysis to confirm the species, but we believe, due the morphology and the general aspect, they are Fluorapatite, but we are still uncertain because there is Hydroxylapatite at the locality. 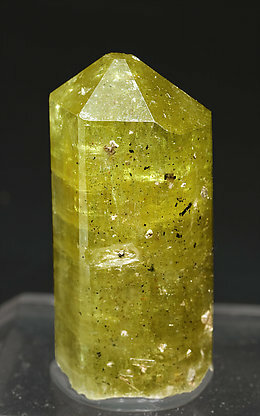 Uniaxial and spike-like growths of crystals formed by a dominant short prism, a pyramid and the pinacoid with a very deep and beautiful green color. The piece is very esthetic. Group of parallel growths of elongated prismatic crystals with dipyramidal terminations, most of them doubly terminated. They have clear green color and good luster. A nice natural sculpture. A novelty at Munich 2017. 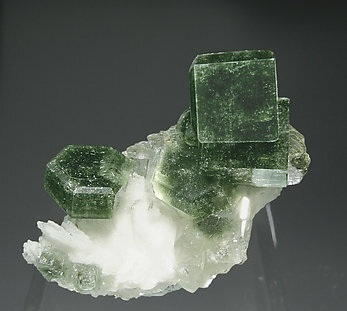 Elongated Fluorapatite crystal on a Prehnite matrix, translucent with a very bright upper pinacoid and the lower part recrystallized. 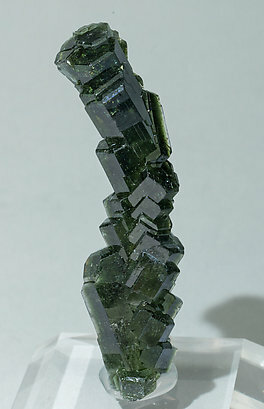 The crystal, that closely resembles a Tourmaline because it is polychromic, mainly pink, in different shades and with a green termination. 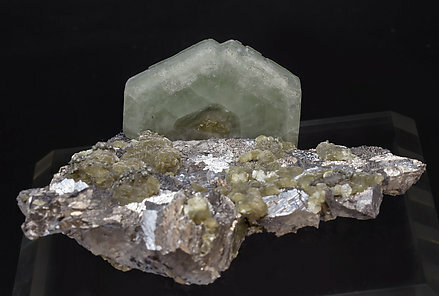 Delicate rosette of Fluorapatite perched on a brilliant Ferberite crystal partially covered by Siderite. A novelty at Munich 2017. 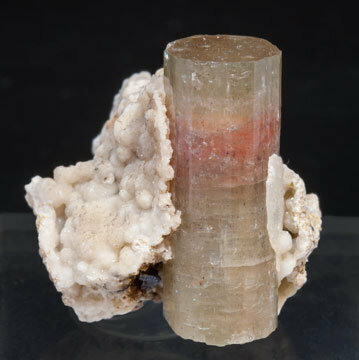 Elongated Fluorapatite crystal, translucent with a very bright upper pinacoid and the lower part recrystallized. 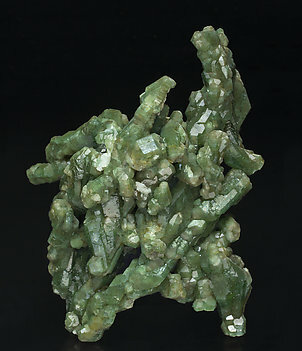 The crystal has an unusual genesis, being in a micro-crystalline Prehnite nodule. 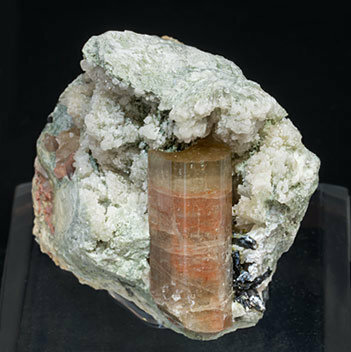 Another aspect to note, it closely remains a Tourmaline because it is polychromic, mainly pink and with a green termination. Group of short prismatic Fluorapatite crystals, very rich on terminal bipyramid faces. 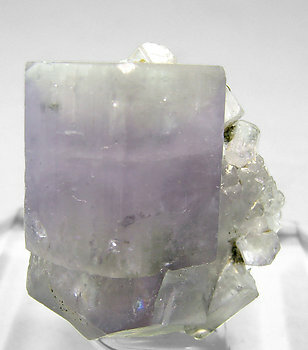 Crystals are very transparent, and show slight violet color, on an Albite matrix. 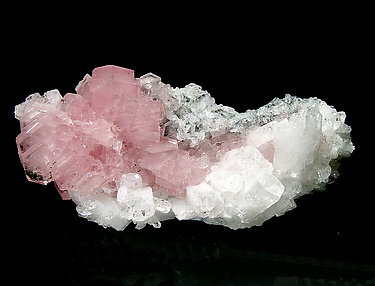 Magnificent group of short tabular crystals of an intense pink color and very bright, enhanced on a matrix of very clean and sharp crystals of Albite. 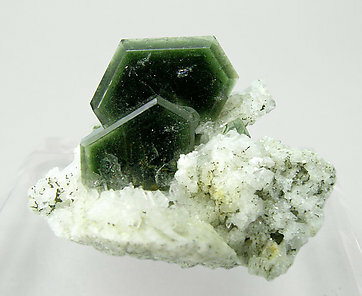 Tabular crystals, two of them clearly dominant, very bright and with an excellent green color, with dipyramidal faces and geometrical color zoning, darker on pinacoidal faces. They are on a matrix of Albite crystals. 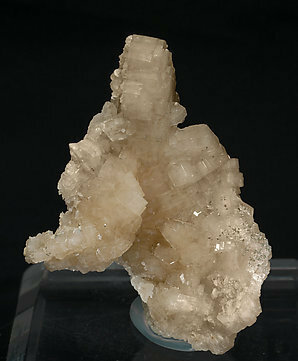 We offer this specimen with very sharp crystals, very esthetic, and displaying well on a white Albite matrix with minor Muscovite. Please note that the main crystal has a contact on its back side, looking incomplete for this reason. Single Fluorapatite crystal with a thin tabular shape and with a very well defined concentric color zoning. On a matrix of Arsenopyrite crystals with botryoidal Muscovite aggregates. At Panasqueira this kind of concentric growth, differentiated on the periphery and the central area, is well known as “olho de boi” (ox eye), a particularity that is especially obvious on this sample. 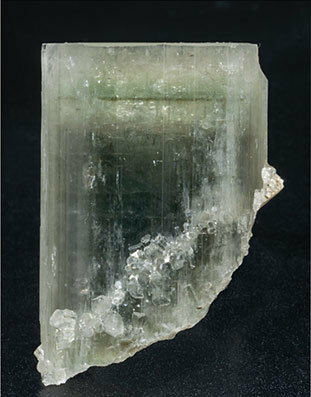 Thick tabular Fluorapatite crystal, with excellent transparency, brilliance and color, with evident geometric zoning. 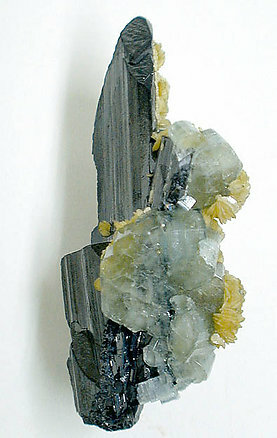 On a Muscovite matrix with small Arsenopyrite crystals.